Hey, we’re in a magic world, even Shrek is here! The green land is full of funny gnomes, elves and a wise wizard. So, how about joining Playtech fairy tale and making some money in an easy way? Huh, the no download gambling can simply be turned into a fabulous 5 reel adventure. A small hero of Fortune Hill Slot Machine struggles with big and scary green-man, who hides the treasures. Perhaps, the magician will help you pass the whole 25 line way and come out safe and sound. 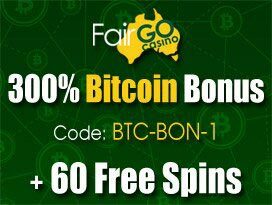 Nevertheless, fun and benefits gained from this endlessly winning ground will show you the way to the most profitable caves. The reels end and what’s there? Oh, the Fortune Wheel is twisting with your each spin! 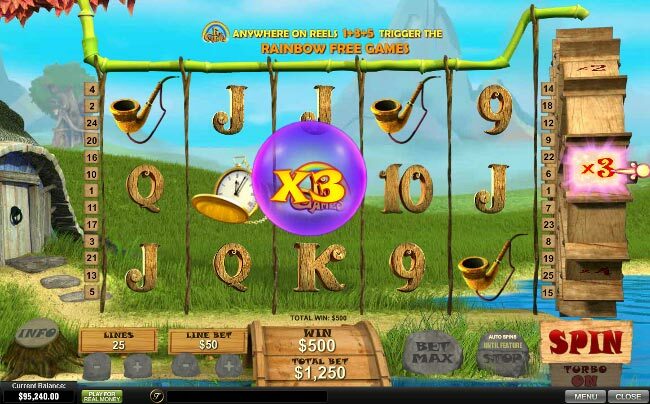 Try to hold your head above the water and you will have a great chance to strike numerous Multipliers, Free Spins and other bonuses, which come with particular symbols. Aren’t you eager to reveal each of them? Wondrous Wizard on reels 1, 3 and 5 leads to 3 Re-Spins and frozen wilds. 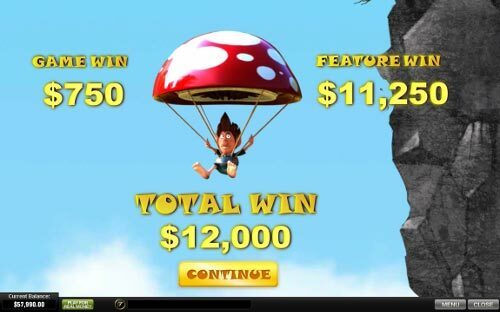 Catch Money Bag from the wheel and get 6x Multiplier to the total stake. 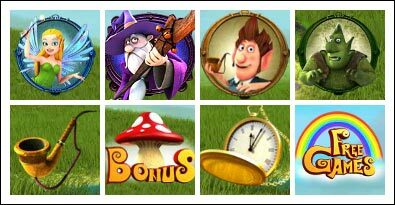 Fairy Feature increases your bet by 15 times or rewards expanding wild on reels 2 and 4. Numerous boosters can be hit, that is how you can get up to 4x Magnificent Multiplier right from the wheel. Hey, don’t be satisfied with little! 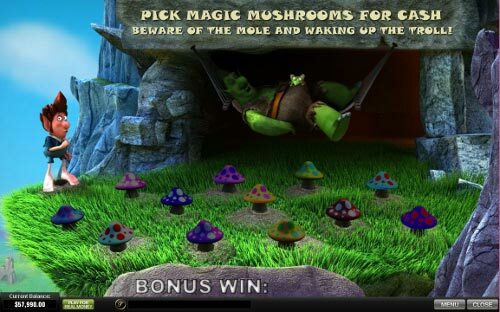 Activate the Magic Mushrooms Bonus and get more experience in being silent and cunning. Thus, catch Mushroom icons on the 1st and 5th reels and find yourself among numerous funguses. Try not to wake up the troll, because once a mole comes out under a mushroom, the feature is over. No matter how bad things are, the end will be still bright. That’s why you should wait for Rainbow even more. 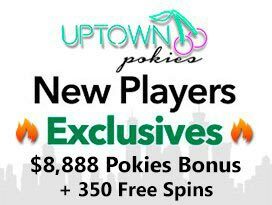 Meeting this icon on reels 1, 3 and 5 doesn’t only arise your mood, but also opens the way to 8 Free Spins. Yippee, the Fortune Wheel is active during the feature and there is even a chance to reactivate it! The powerful Wizard decides to do everything on his own! Right, the wild symbol starts substituting for the other ordinary icons as soon as there’s a chance to turn a line into a winning one. Not a bad power, by the way. However, totally the opposite themes of online slot machines present no less beneficial conditions. Yeah, the already beloved Rainbow turns to be the scatter symbol! Only with this colorful icon you can wait for such magic things as a Bonus Game and there will be no clouds anymore. Sunny weather and green grass are going to please your eye and award with high spirits. Ready to serious actions? The situation gets to be with wise approach, because this is not so easy to leave $0.01 coin size and pick the $50 one. Huh, this time you are the kind of the hill. 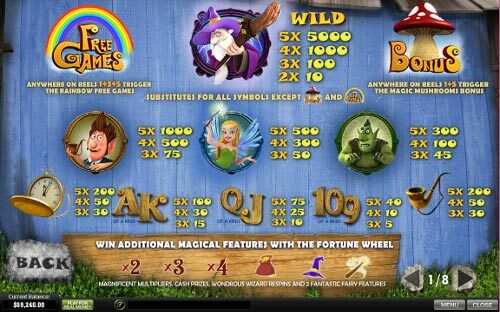 Cause only with the max stake of $1,250 there is a chance to meet 5 Wizard icons and strike the top jackpot of $250,000. Yeah, the magic is in action when you enter Fortune Hill Slot Machine. You become involved into a fairy atmosphere and large winnings absorb you willy-nilly. 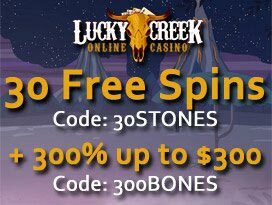 Try your luck in the slot and see how much gold you can collect.